We are big fans of DotNetNuke! We are big fans of giving back something to the community! There we said it. What you may not know about the Cart Viper team is that we have been making DotNetNuke modules since 2005 under the pseudonym of Bite The Bullet, http://www.bitethebullet.co.uk/. Many of the modules we have created over the years have been released for free and with the source code. So what has all that got to do with Cart Viper? Nothing other than it shows our depth of knowledge and our commitment to the platform. 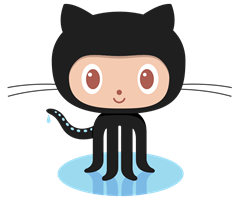 Recently there has been some buzz in the DotNetNuke community about Participating and Contributing to DNN open source projects, so since we have a lot of existing modules over on the BiteTheBullet site that have been some what neglected what better idea that to bring some of them up to date and to do it in a public and open manner. 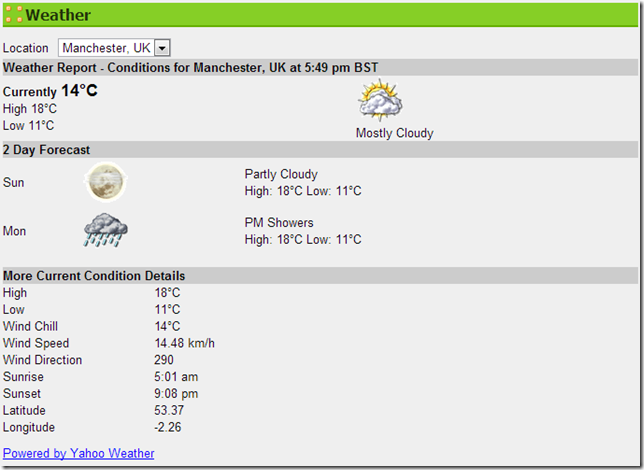 The BTBYahooWeather module is a DNN module we wrote several years ago which allows you to show the weather using the Yahoo Weather RSS feed. The plan is to update the module to use DAL2, add a new template engine based on Razor and generally improving the module. Once completed the module will be available to download for free. Want to help? 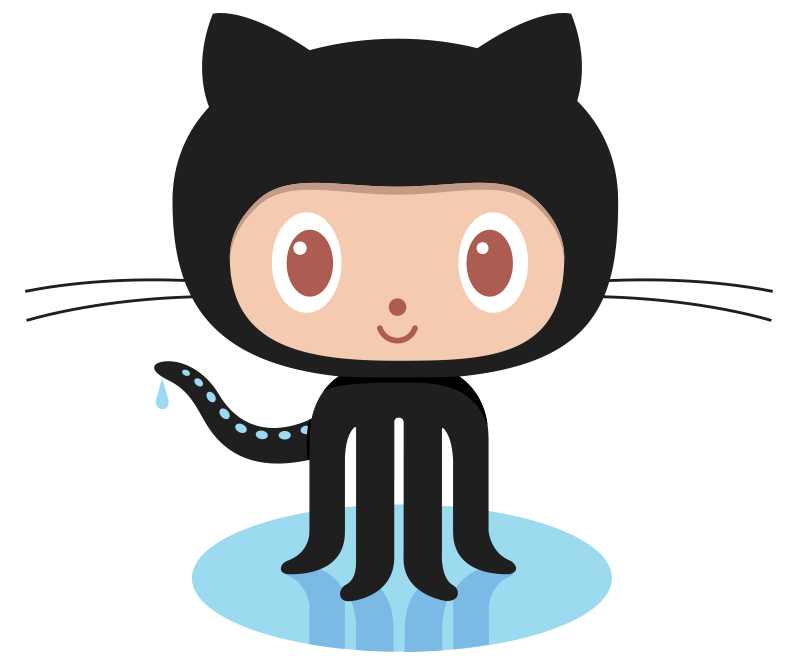 Stop by GitHub and get started in giving back to the community too. We look forward to giving back an updated module. Better Store Buttons - Coming Soon! A potentially breaking change coming in the next release of Cart Viper for any upgrading customers is that we have changed the image buttons used in the store to be link buttons. 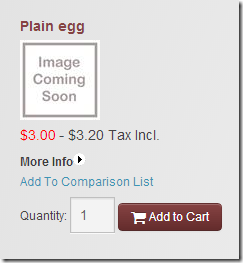 So the add to cart button, the buttons on the checkout and my cart page have all been replaced with hyperlink buttons. 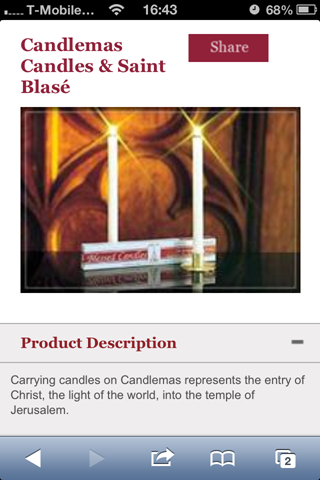 When browsing the store on a tablet the image buttons had a blurred effect. Tablets have a high resolution screen compared to a desktop or laptop computer. Having the buttons as links makes it much easier to style to match your existing site using just CSS. Since the buttons are now just links you can use the resource file to localise each option. So lets take a look at what the cart details page looked like before on a tablet, note we’ve zoomed in to make the blurry image buttons more noticeable. Coming in next release of Cart Viper the cart page would look like this. All the buttons are styled using CSS, the icons used on the buttons are from the excellent open source project Font Awesome. The icon is in fact a font vector so it looks crisp and sharp on any resolution screen, even when zooming into the page. As already mentioned we are now completely styling the buttons using CSS, no images are used in rendering the buttons. The gradient, rounded corners and shadow are all rendered using CSS so its very easy for you to change the style without needing to create a new image in Photoshop. The styles for the buttons are defined in Common.css and the main class is called .CvStandardButton. We have a number of other styles and pseudo classes that are used for the hover state for example all of which are also in Common.css file just after the definition of the .CvStandardButton class. If you are just installing Cart Viper for the first time when the new version is released you don’t have anything to worry about. If however you are upgrading from an earlier version then any custom image buttons you have created will be replaced by the new style links. So what can upgraders do, well after you have upgraded and follow the steps in the user manual to merge your custom CSS files with the new one from Cart Viper you can go ahead and change the new styles to match your site. You could even just change the CSS to load the original custom image button as a background image but we don’t recommend doing that. Its time to embrace the change in computing and use CSS to ensure that your site works as best as it possibly can with all the different devices out there. 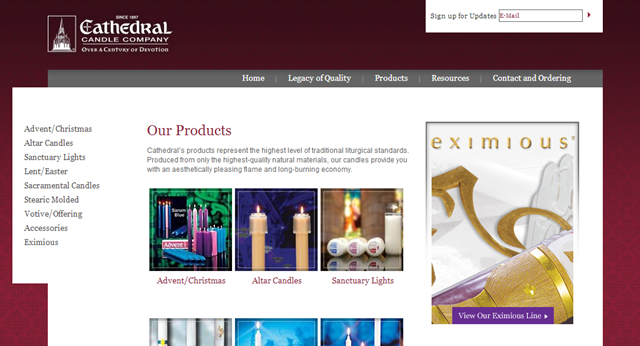 More Designer Friendly Changes To Come! We are working on further changes down the road to the templates and template engine to add even greater flexibility to the system. Just on a side note, when we do add the new templates and engine we will be keeping the existing version for customers that don’t wish to switch. We hope you are as excited as us to see the new version of Cart Viper which is coming soon, we have added some great new features and improved a lot of the existing features. 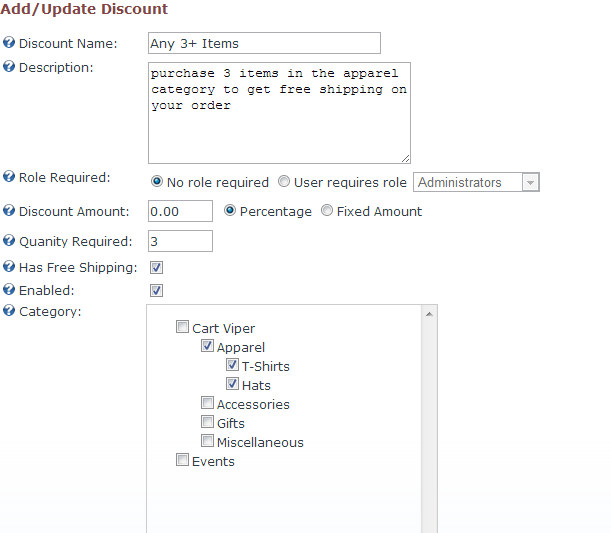 As we work towards the next major release of Cart Viper we also add the odd small feature into the current version, today we have added a small feature to the single page checkout into the current release 1.6.1 based on customer feedback. The new release is 1.6.1n which can be downloaded from the free trial page. The new feature allows you to show a terms and conditions checkbox on the Single Page Checkout, customers then need to tick this checkbox before they can place their order. 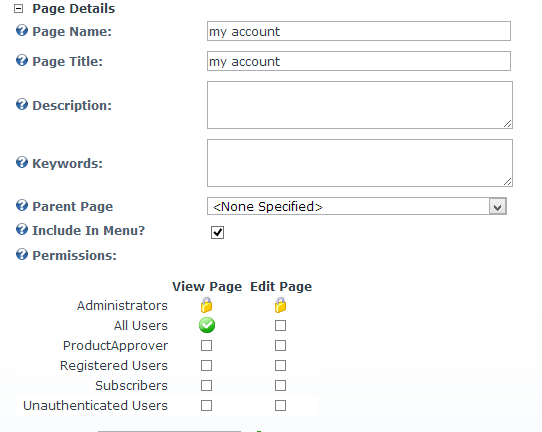 Be default this checkbox is not shown, the store admin would need to turn this on by selecting the Show T & C Checkbox on Single Page Checkout setting from the My Account module settings. 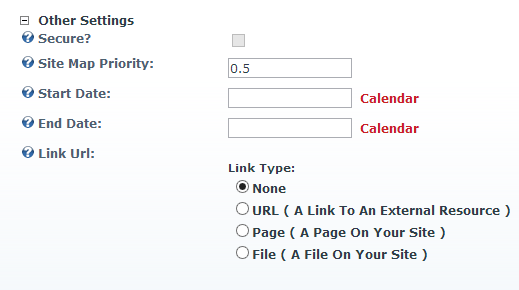 The wording of the checkbox shown on the Single Page Checkout is controlled by the resource file /DesktopModules/CartViper/App_LocalResources/SinglePageCheckout.ascx.resx so if you wish to customise this caption or add a hyperlink to link to the T & C page for example, then you just need to edit the entry chkAgreeTermsAndConditions.Text in the resource file. 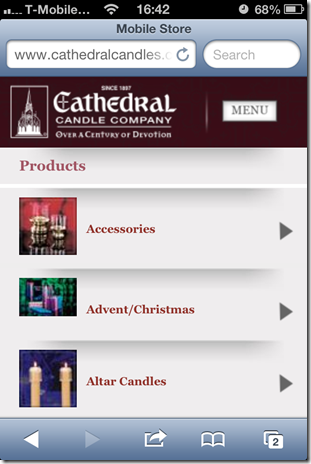 Do you use QuickBooks and Cart Viper? Ever wished you could import your orders from Cart Viper straight into QuickBooks? 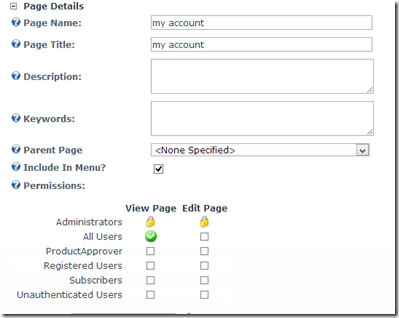 Well now you can have your orders go straight into QuickBooks automatically using QuickBook Connex for Dnn from JMA Web Technologies. The demonstration video below show how easy it is to get your online orders from Cart Viper into QuickBooks eliminating the need for data entry and additionally administrative tasks. QuickBooks Connex for DNN works with Cart Viper to provide a simple way to transfer your online orders from the store into QuickBooks. Why duplicate data entry when you can have an automatic way to pull orders from your dotnetnuke store into your accounting package every 15 minutes. Works with both the US and UK version of QuickBooks. Abandoned carts are costing you money in your online store. The average store has 72% of abandoned carts, that can add up to a serious amount of lost revenue. So what is an abandon cart, its when a customer adds items to their cart but never completed the checkout process. Somewhere along the lines of add the items to the cart and finally paying for them the customer has changed their mind. Think about it, your store is only converting 28% of carts into orders, being able to improve this figure would make a difference in your online store’s bottom line. The number one reason for a customer to not complete the checkout process is expensive shipping costs, no one likes getting to the checkout page only to find its another $10 to get their items. Expensive shipping charges account for 44% of all abandoned cart. In fact stores which offer free shipping have less abandoned shopping carts all together then those charging even inexpensive shipping. Take a look to see how your own store is performing with abandoned cart, you can see the number of abandoned carts for the last 30 days in Cart Viper by going to the Store Admin > Sale Stats page. 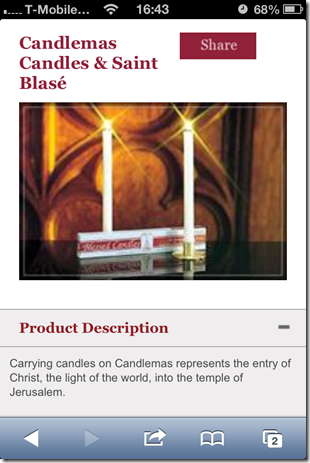 In Cart Viper we have a number of ways of giving free shipping to your customers. So lets look at what we can do to give the customer free shipping and in turn reduce the number of abandoned carts. You can define in the shipping settings which countries will get free shipping, a customer that enters a shipping address with a country that has been defined as free shipping will get free shipping on any order they place. A variation on this simple option is to define a minimum spend for the country before the customer qualifies for free shipping. So for example we can say all orders to the USA over $25 will have free shipping. Then you can make the customer aware of this special offer and convert more abandoned carts into paying orders. So this allows you to offer your free shipping to say the lower 48 while still charging shipping to the more costly states of AK and HI. 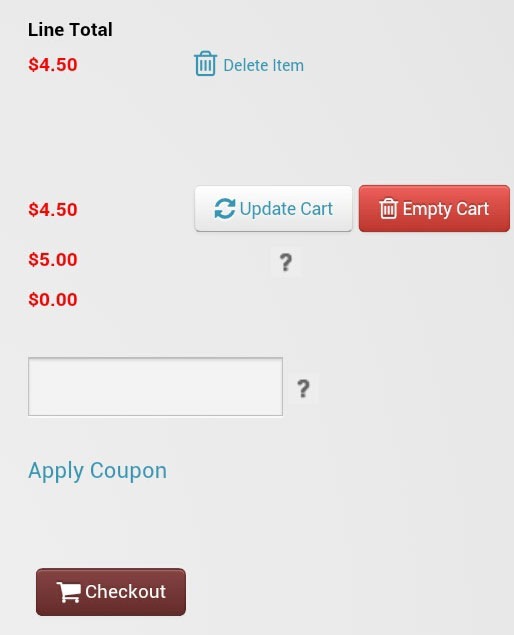 You could also use the coupon functionality to create a coupon that the customer could use at the time of checkout to get free shipping on their order. 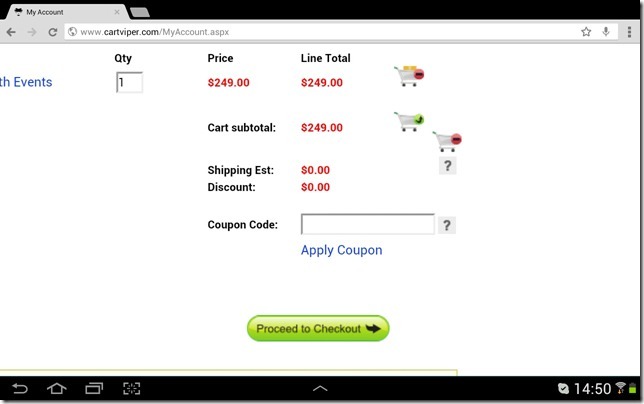 A simple banner or HTML module on the store could then promote this offer to the customer. Additionally its also possible to configure the coupon to have some restrictions before the customer can get free shipping. 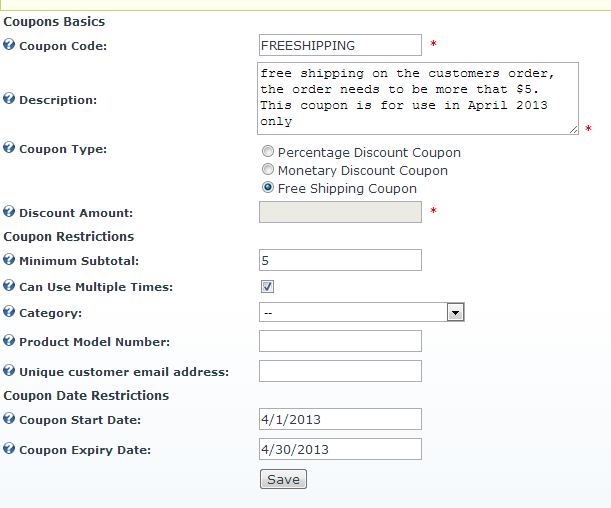 So for example we can define a minimum spend that the customer must meet before the coupon will be valid. Its also possible to make the free shipping coupon only valid when the customer purchases an item from a given category or categories. 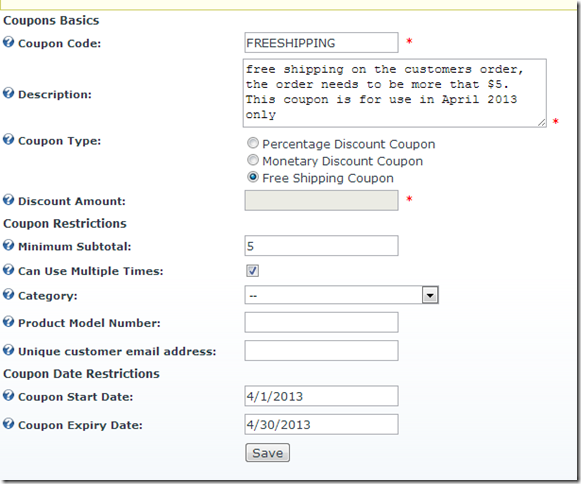 Using the mix and match promotion its also possible to define free shipping. So if the customer purchase 3 items for a given category then it would qualify their cart for free shipping. This would be applied automatically during the checkout process. 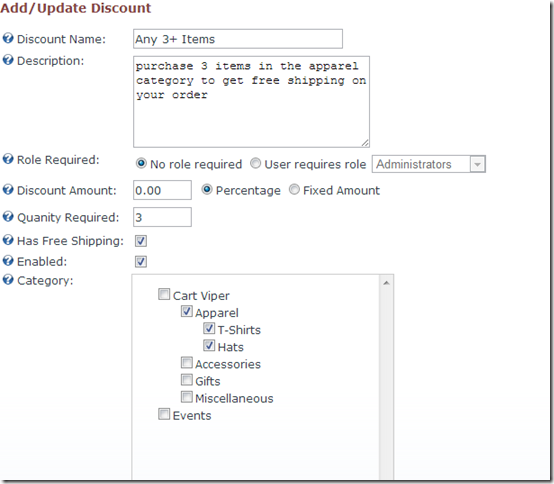 I hope this blog post has shown there are various options within Cart Viper that can be used to reduce the abandon carts in your store due to high shipping charges. Depending on your demographic and the types of products you are selling you may find that some of the options mentioned work better than others, so our final piece of advice would be to try out the different free shipping options and measure which works best for your store. 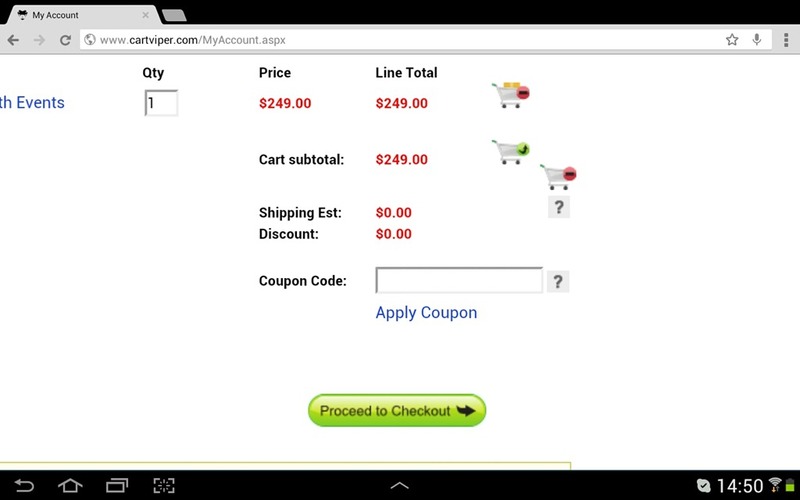 Cart Viper is an advanced ecommerce module created for DotNetNuke created by two UK developers. Feature rich and backed up by great support. Take the free 14 day trial to see how you can leverage a great CMS and Ecommerce solution for your clients. Currently we are working on developing 1.6.2 of Cart Viper, one of the new features we have added is support for the Microsoft Azure platform. Azure is Microsoft’s cloud based hosting service, using Azure you can quickly deploy a DNN website in a matter of minutes. Starting in release 1.6.2 of Cart Viper you will be able to deploy and run a Cart Viper ecommerce store on DNN that is hosting on Azure Websites. We’ll be creating a video tutorial to help get you started once we release the module. When using Azure Websites the database used by DNN is the cloud based version of SQL Server called SQL Azure. SQL Azure has some minor differences in supported SQL terms so we have to modify some of our scripts in order to deploy the module. We had previously used a third party library which made use of GDI+ to generate the order detail PDFs, on the cloud platform this lead to an out of memory exception. 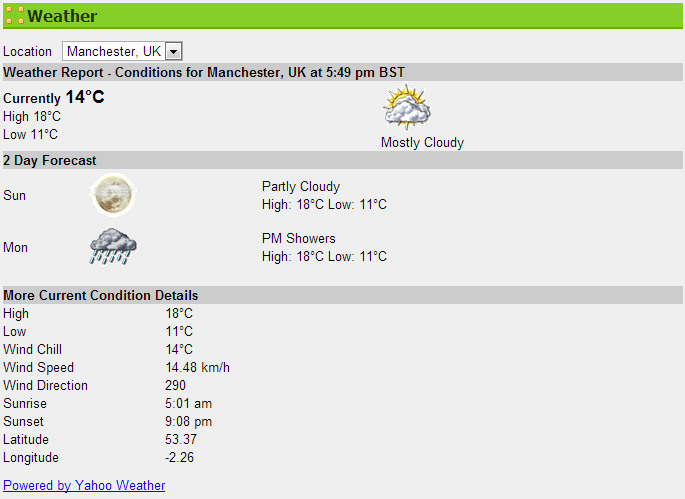 So we have switched to a new rendering which makes use of WPF. Using Azure to host your DNN ecommerce site is going to be huge, its just so simple, cost effective and scalable. Watch out for the new release of Cart Viper coming soon. Working in conjunction with our friends over at ITX we were tasked with allowing Cart viper to provide a mobile DotNetNuke ecommerce store for the Cathedral Company website. 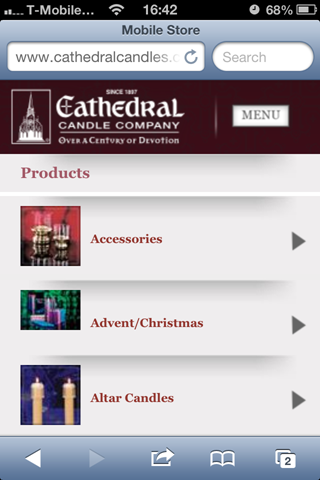 The key requirement for this project was that when viewing the Cathedral Company website on a mobile device the layout would be optimised for a mobile viewing. One of the new features in version 6.1 onwards of DotNetNuke was mobile support, this allowed DotNetNuke to detect if you were viewing the site on a mobile device and then if necessary redirect you to a mobile optimised rather than the standard website. With this great feature at our disposal we set about creating a series of modules that could display Cart viper categories and products that were optimized for mobile viewing. The end results gives the user a mobile friendly experience when viewing the site on their mobile device allowing for quick page loading times when browsing the store categories and products, but not sacrificing functionality or user-ability. With the increased number of customers browsing and shopping from their mobile devices this is a must have for ecommerce solutions, if you are interested in learning what mobile functionality Cart viper can offer your DNN site, please drop us a line.